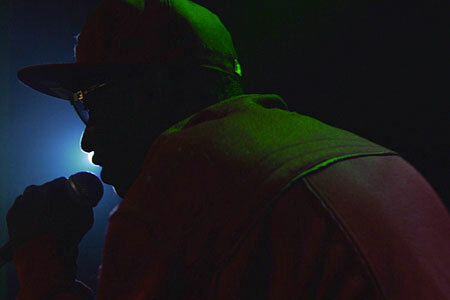 Alias (Director: Michelle Latimer): Actor, producer, writer, director and former Hot Docs programmer Michelle Latimer unveiled her first feature-length documentary at Hot Docs 2013 on Friday, a portrait of Torontonian rap artists and producers, entitled Alias. The film is a labour of love, four years in the making, an intimate look at the lives and careers of Alkatraz, Alias Donmillion, Trench, Keon Love and Master Knia. If some of these names aren’t familiar to you, Torontonians might know Alias Donmillion through his high-profile arrest and conviction, stemming from an incident at Caribana in 2007 where he attempted a “West Indian Salute” and fired a weapon in the air in a crowd. Out of jail and trying to recapture the career that he lost, Alias and this group of artists try to keep their lives from getting too real and overshadowing their art and dreams. While Toronto does have a respected hip-hop and rap culture, there hasn’t been much respect given through mainstream media coverage. But as the film unfolds, it becomes clear that Latimer really took the time to connect and understand her subjects and they provide her access that is almost startling in its intimacy. In one of the earliest scenes, Master Knia is organizing a hip-hop night at the Opera House, trying to get lesser-known artists on a bill for the evening. As he admits, things don’t start quite on time as the crowd arrives late, the show starts late, and the night runs out with several artists still left to perform. While the concert featured a bevy of young, moderately talented artists bouncing around with more entourage on stage than original hooks, our seasoned subjects are left standing at the side, ill at ease with the organization of the night, but trying not to give Knia a hard time, watching their chance to perform slip away. All five of them have kids, and as any parent knows, taking a night off from child care requires not just finding a babysitter, but losing out on quality time with their kid, and when reality sets in and they can’t get onstage, it’s hard to watch as they each reveal their disappointment. Not exactly the first personal reveal you’d expect to see in a film about hip hop artists and the scene. After this scene, it’s very evident that we’re not watching a film about cocky, up-and-coming artists; these are veteran performers looking to stay relevant and get that next big break, while also juggling other commitments like family, work and education at the same time. But as the film progresses, it reveals the darkness that sits at the edges of each subject’s psyche. Violence, crime, discrimination and poverty, in some form or another, are daily reminders of the difficult reality during the day-to-day of their lives. Keon Love reveals early on that she’s lost 11 people to violence alone in the last year, and as two others admit to hustling on the side to survive, they live in fear from cops on a regular basis. But throughout it all, the documentary is full of moments that highlight the hustle and the struggle that this group puts towards their art, despite any mixed results. A mid-afternoon music video shoot is delayed by late dancers, a less-than-ideal weather situation and disorganized friends, but still they manage to pull it together in the end. In some moments however, real exhaustion seems to set in. For all the positives, there’s always the threat of violence, and when the instance occurs in the film, it’s from the hands of a force you least suspect, but unfortunately, ultimately expect. Overall, Alias is a tight, unflinching look at a musical movement that is definitely generated by class struggles and geography, a genre created when people are told they can’t expect to do much with their lives and fight back through art, and a group of local artists trying desperately to not fall into the trap of living a life realer than their lyrics. Alias plays with My Black Box, a short documentary about Quebecois hip-hop artist Dramatik and his use of rap to conquer his stutter. This entry was posted in Documentaries, Film Festivals, Hot Docs and tagged #hotdocs13, Alias Donmillion, Alkatraz, Keon Love, Master Knia, Michelle Latimer, music, Trench. Bookmark the permalink.